If you are a fan of the particles, this mod will interest you. 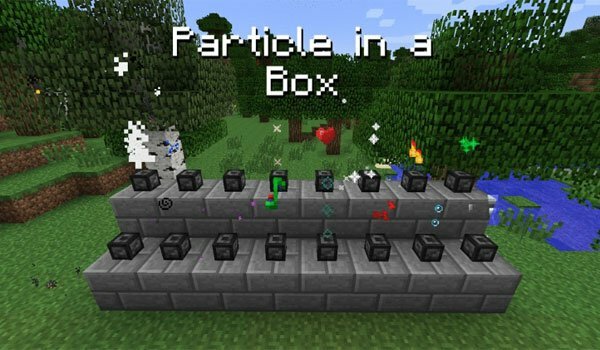 Particle in a Box 1.8 and 1.7.10 is a purely decorative mod, that lets you create cubes that will drop particles of different shapes and colors to spice up our Minecraft worlds. In total we can create up to 25 cubes that will emit various types of particles. Once you have created one of the cubes and placed on the floor or wherever you want, do right click to change the sizes of the particles that this cube will drop. So you will be able to regulate the particle emission. How to install Particle in a Box Mod for Minecraft 1.8 and 1.7.10? Up to 25 types of cubes that emit particles!